Finding Family: My Search for Roots and the Secrets in My DNA was a Global Ebook Awards gold medal winner and a Next Generation Indie Book Awards finalist. 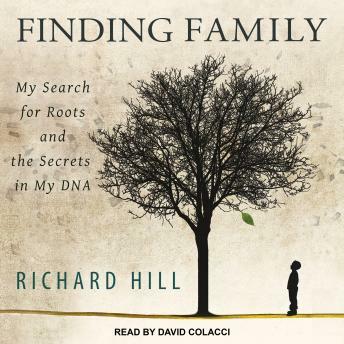 It is Richard Hill's true and intensely personal story of how he pieced together the long-kept secret of his own origins. This highly suspenseful book is a compelling saga of personal detective work that will appeal to anyone who loves a good mystery. But this isn't fiction. It's an engrossing account of an adoptee trying to reclaim the biological family denied him by sealed birth records. This fascinating quest, including the author's landmark use of DNA testing, takes listeners on an exhilarating roller-coaster ride and concludes with a twist that rivals anything Hollywood has to offer.